Sacha Baron Cohen is lining up a return to TV, and has teased his comeback in a video trolling Donald Trump. Variety reports that the actor and comedian is in talks with US network Showtime to air a series with a similar format to that of Da Ali G Show. The Borat and Bruno star trailed his comeback by posting footage on Twitter of President Trump insulting him alongside pictures of his own face. The video ends with text saying “Sacha graduates soon”, followed by a logo for the now-defunct Trump University. 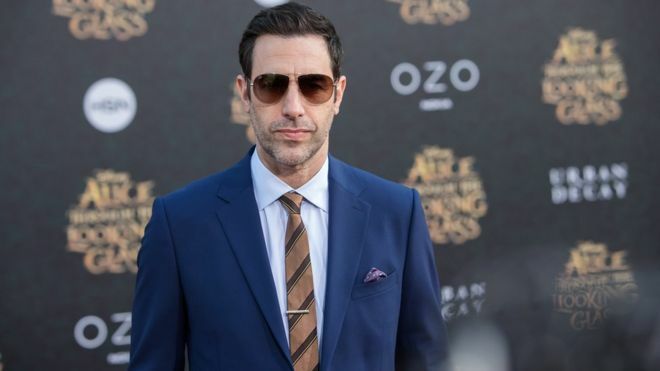 Baron Cohen made his name by pranking celebrities and members of the public as characters like Ali G and Borat, and has appeared in films like The Dictator, The Brothers Grimsby and Les Miserables. He has also been cast in the lead role of the forthcoming Netflix drama The Spy. His Twitter video, which has been watched more than 870,000 times, has caused a stir on social media. Actress Pamela Anderson said she “couldn’t wait”. I can’t wait for this … all in good fun on Sacha’s part … but the other seems sinister, cruel and over reactive. definately demands a clever come back . I’m sure that’s exactly what’s coming. While Showtime has not yet confirmed details of the series, the network has been teasing an upcoming undisclosed comedy as “the most dangerous show in the history of television”.